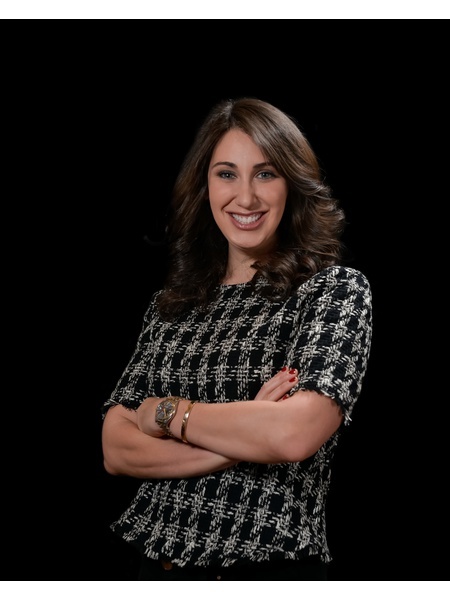 Well versed in both sales and rentals, with almost a decade of residential real estate experience in New York City, Ivy Paterni Kramp has built a business based around referrals and repeat customers. Keeping up-to-date with the dynamic market is of paramount importance to Ivy, and has enabled her to successfully close over 200 transactions in the past three years alone. Ivy thrives on the thrill of the hunt for the “match made in heaven” for her clients as the importance of finding the right home is ingrained upon her psyche. She shares the excitement and anticipation that comes with the decision-making process, which makes Ivy an ideal advocate. On the scene and hands-on with her clients each step of the way, she navigates the complex and often turbulent NYC sales process as a tenacious negotiator, a trusted sounding board, and a knowledgeable advisor. Currently residing in Manhattan, but having lived and practiced in Brooklyn as well, Ivy is highly qualified to provide advice on the merits of each market, especially as the neighborhoods of Brooklyn continue to evolve and gentrify. Prior to real estate, her career in advertising has provided her with valuable insight into the most effective ways to present, expose, and position property to highlight the most valued benefits to achieve top-dollar. Possessing a keen eye for design, Ivy is also able to counsel clients on best practices in home staging and reconfiguration to appeal to the widest pool of potential buyers. Ivy is originally from Michigan and holds a BA in Marketing and Business Administration from Western Michigan University. She is well-traveled, having enjoyed trips most recently to Italy, Spain, and Israel, and hopes to one day fill her passport to capacity. INTRODUCING CHELSEA WATERSIDE RESIDENCES: 2400sf duplex 3 bed/4bath with 19 feet ceilings and water views! INTRODUCING CHELSEA WATERSIDE RESIDENCES: 2800sf 4 bed/4bath TH Condo with 820sf private terrace! The Perfect Battery Park Convertible 3! STUNNING 3 Bed/2.5 Bath Tribeca Loft! Stunning 3 bed/3bath with RIVER VIEWS in Battery Park! 1900/sf Floor-Thru 3 bedroom in Historic Gold Coast Townhouse on 11th and University! Stunning Junior 1 Bedroom at Calendonia! BRAND NEW 1 bedroom. Lowest Price in Building! 1200SF 1 Bedroom LOFT with Dining Room & Balcony & W/D! Adorable LARGE Full Floor 1 Bedroom on East 7th and 1st. Bright and Sunny UES 1 bedroom!